This resource supports children to explore and value their name, their personality, their hopes and dreams and that of others through discussion, art and DT leading to a mini book – you can’t judge a book by its cover. The lesson ideas include discussion of the value of names to each of us leading to a discussion of the negative impact of name calling. I can create a front and back cover for a mini book about myself. What does it mean to judge people too quickly? Remind them of title- Don’t judge a book by a cover – what does this mean? If you have an old book with a dull cover and a new shiny book you could show these to the class and discuss the saying. TTYP Ask them to share examples of things that you can’t know about someone by looking at them. Then share these as a class. The first thing you need to do is make the front and back covers by covering cardboard with fabric. 1. Choose the fabric you like for each cover. Choose a fabric you like which says something about you. 2. Using the glue stick, glue on the white side of the cardboard. 3. Use PVA glue to stick the long sides of the fabric around the back. 4. Fold of the corners into a triangle. 5. Glue the sort edges with PVA glue. 6. Choose two pieces of ribbon. 7. Sellotape the ribbon in the middle of the back. Old book with dull cover Sensitivity, awareness and understanding your class and community are essential before exploring any activities relating to identity. Looked after children may have difficulty with the homework and children from some cultures may have names associated with grief. Always begin activities by sharing information about your own identity to model. This will make children much more open and confident about sharing information about them. However always recognize that some children may be uncomfortable or may not be able to share some things. I can share something about my name and its meaning to me. I can use acrylic paint. Children to share what they found out about their name in small groups. (If they haven’t been able to allow the children to go on the website http://www.quickbabynames.com to find out the meaning of their name). No-one would know our name by looking at us. So this is the first thing we are going to include in our mini books. 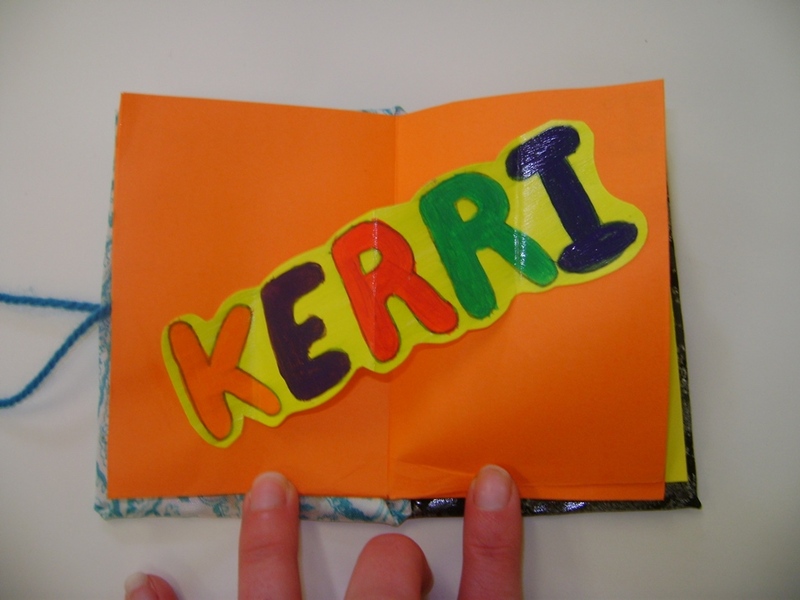 Demonstrate how to fold and cut the paper to make the pages for the mini book.Show them the example mini-books page from the resources or show them one you have done about your name. Explain you have used acrylics, a kind of paint, for your name. Fold and cut the coloured paper to make the pages of the mini book. In pencil sketch your name- think about how you want it to look. Go around the outside of your name in black pen. Paint your name and the background in a light colour. While it is drying write My name and a sentence about your name in your book. Children find someone from another group to share what they found out about their name and show their mini book. Gather the class together. Discuss how important names are to people. Introduce the idea of how sad ‘name calling’ can be and how this happens sometimes when people forget this ideas they have been learning about so carefully- that you can’t judge a book by its cover. Lead the children in considering how often name calling is actually about judging a person by their appearance. TTYP Can you think how you would explain to a younger child why they should never call people unkind names? 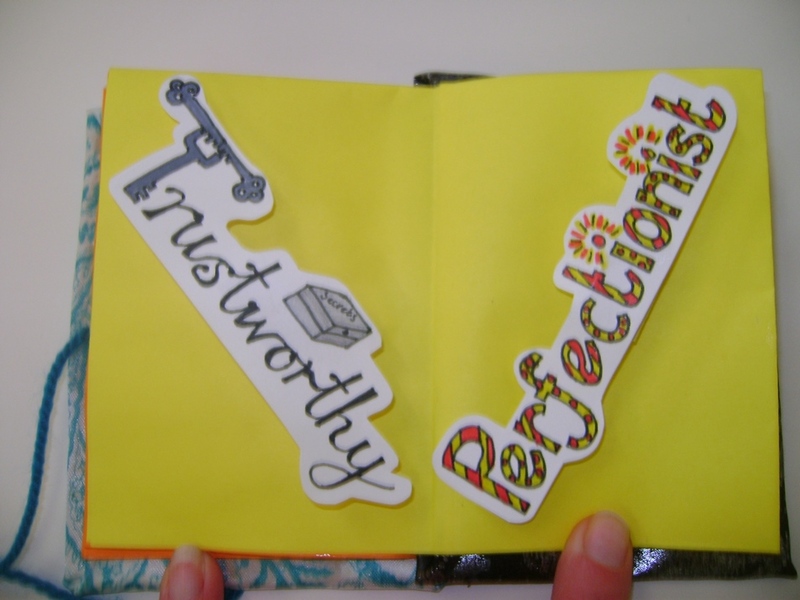 Show children the mini-book example –the pages with personality vocabulary on- or show one you have made about yourself. We are all unique –today we are going to think about what makes us us! Give out the personality words sheet to each group –let them spread them out, read them and discuss what they mean. Any we are not sure of? Children to discuss the meaning of any tricky words. Choose 3 to 4 words that BEST describe you –be honest! Draw the word in pencil then colour using felt tips. Fold the cardboard strip into a concertina. How have I made the words I chose reflect their meaning? Sit in a circle. Pass an object each child says one of the words that describes their personality. Ask children to ‘mill’ around the room. Stop them 3 times and ask them to show someone their personality words in their book and look at the other persons. Did everyone choose the same name words? Does everyone have the same personality? What would it be like if everyone was the same? If you plan to do the homes and dreams pages then give each child the hopes and dreams homework sheet. Ask them to interview 2 people about their hopes and dreams for themselves and for the world and fill in the sheet ready for the next lesson. Sensitivity, awareness and understanding your class and community is essential before exploring any activities relating to identity. Give out the children’s homework handed in this week. Allow children to share with their group their homework (their own hopes and dreams, who they interviewed, what they said). This session may require sensitive handling as some people’s dreams may be very personal. It is not recommended that the children are asked to share with the whole class in a circle time for example. Explain that we will now create another section of our mini-book- we will include our hopes and dreams. Show your own book again or the example created and available on the SL website. How have the illustrations been created? You could show the children other examples of pointillism. 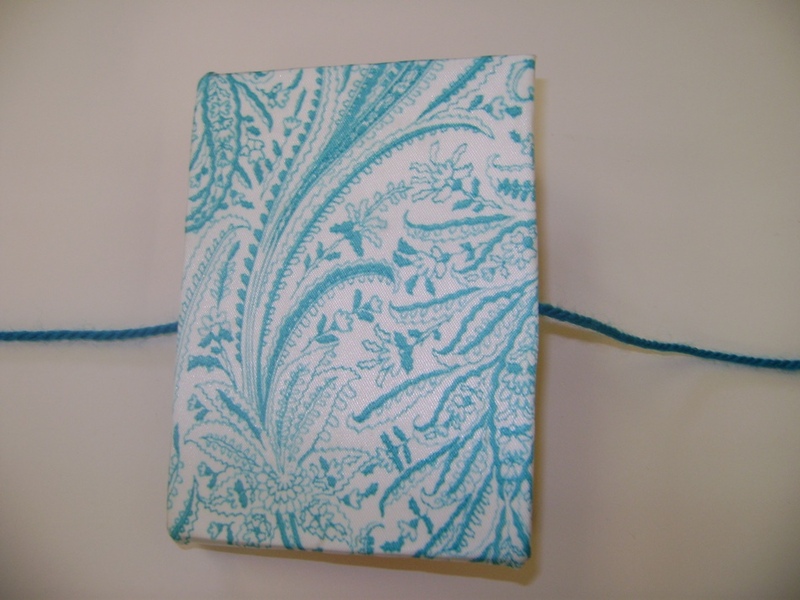 Write your hopes and dreams for yourself and the worlds on the pages in your mini-book. Put the tracing paper on top of your sketch. 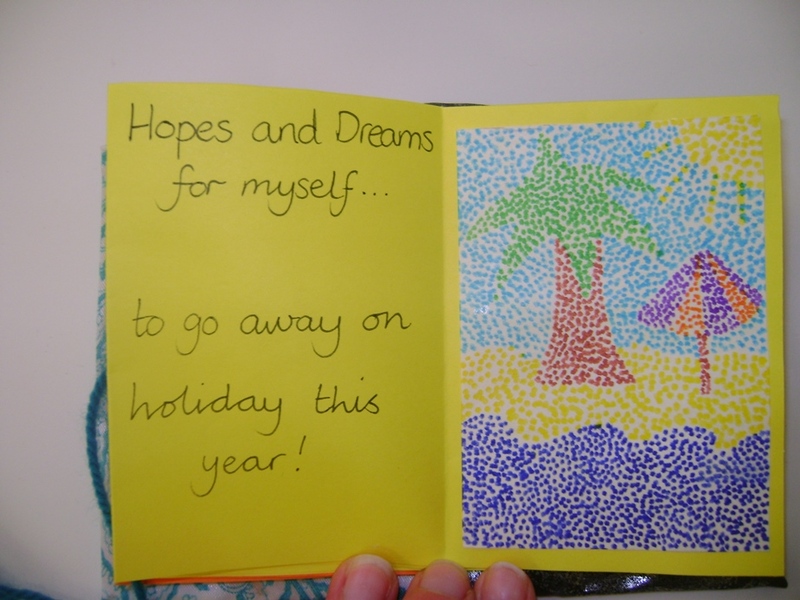 Use the felt tips to fill out the picture with dots. Children glue all the pieces of their book together. Allow children to walk around the tables so they can view each other’s work. Did you find out anything about anyone that was surprising/ interesting? Sensitivity, awareness and understanding your class and community is essential before exploring any activities relating to identity.